Two coats of JULEP Nail Color in Rae. Lilac Creme. Rae was toted as Pantone's Color of the Year for 2014; but, while it is super pretty for spring, it's definitely not an orchid pink. Formula was very easy peasy for this pretty - it self-leveled and built opacity with minimal effort. The main thing you need to be careful of is the thickness of coats. Thin coats will give you the color you see here; thick coats will result in a far darker, dustier hue. One of my favorite colors to wear! Love this product too! Sweet color! Love the look! 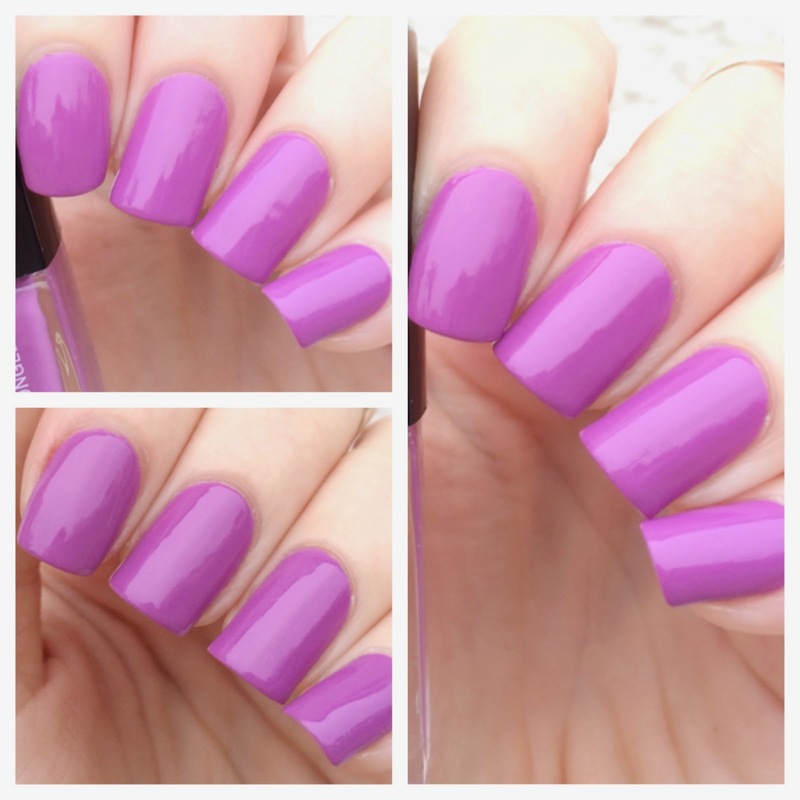 Gotta love a formula that delivers opacity and has such a bold color! That's so pretty! I'm becoming addicted to doing my nails lately so I'm stocking up on polish. Your nails are gorgeous! This looks like such a beautiful, bold color. I love this bright colour. So perfect for Spring.